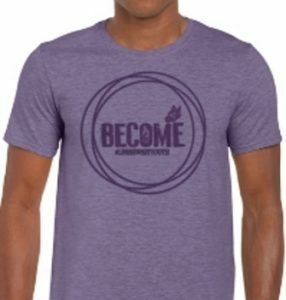 One Youth Education Conference T-shirt is included with each registration. If you'd like to buy more for friends you may purchase them on the registration page. Every youth needs to have a parent not just in town but on-site. We chaperone activities, not individual youth. Please provide us with the cell phone of the parent who will be responsible for chaperoning this youth. I agree to allow LDSHE to use photographs and videos of my child/children in promotional materials both print and online. I agree to notify LDSHE if I revoke this permission. (Crowd shots with low facial recognition are exempted from the opt-out). All youth are expected to: 1 - Follow the standards outlined in the “For Strength of Youth” pamphlet 2 - Attend all classes and activities or be with their parents 3 - Wear their name tags at all times 4 - Be respectful to all youth and adults 5 - If they need to leave a presentation for any reason, let the chaperone know where they are going. I understand that I am to remain on-site at the conference venue while the conference is in session. I understand that LDSHE volunteers chaperone activities but not individual youth, and that I am responsible for the whereabouts and safety of my youth. I understand that I am to be registered for the adult conference for the same days that my youth is attending the youth conference. Join with us May 29-31 at the Latter-day Saint Home Educators Logan Youth Education Conference for fun and inspiration with other LDS homeschoolers. Find ideas for how to become who you want to be with inspirational speakers such as Justin Young, Greg Denning, and Eric Richards. Classes in a wide variety of topics: art, science, travel, scripture study, dancing, music, dating, acting, yoga, writing, and so much more! Leave the conference feeling uplifted and refreshed and ready to take on the world. Note: Younger siblings of participating youth may not attend classes or activities specifically for the youth. Younger siblings and parents are welcome and encouraged to attend "The Show-Off," the Family Dance, and the LDSHE Graduation Celebration. 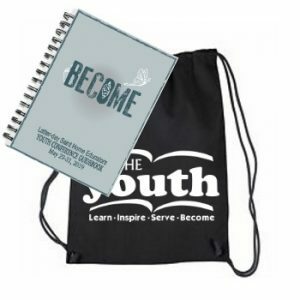 Each participant will receive a Youth Guidebook, T-shirt**, and snacks* during game breaks. *Snacks May Contain Allergens-including nuts, dairy, and wheat. Do you have more than one youth 12 - 18 in your family coming? Register each additional sibling at $15 less than the previous one. Discounts will be seen on the Check-out page. Please see our FAQ page if you have questions.